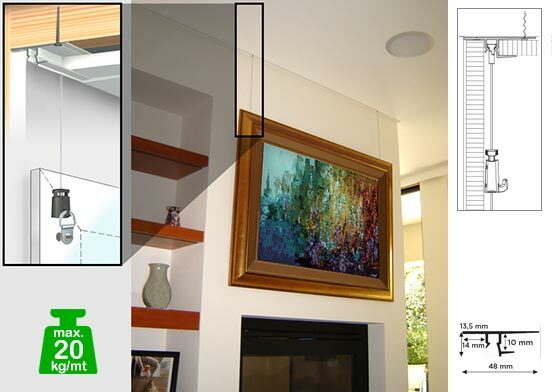 The Top Rail is a picture hanging system for ceilings. 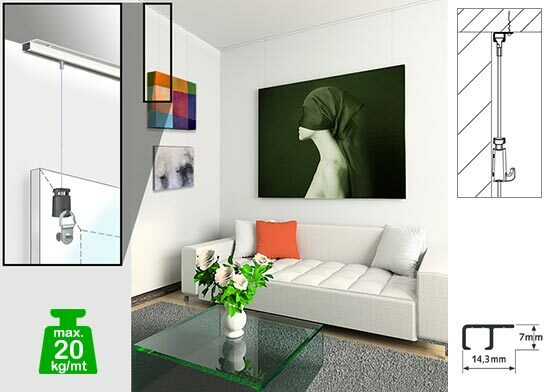 It is a subtle rail that fits any interior and is ideal for transforming ceiling systems into a virtually invisible picture-hanging spot. 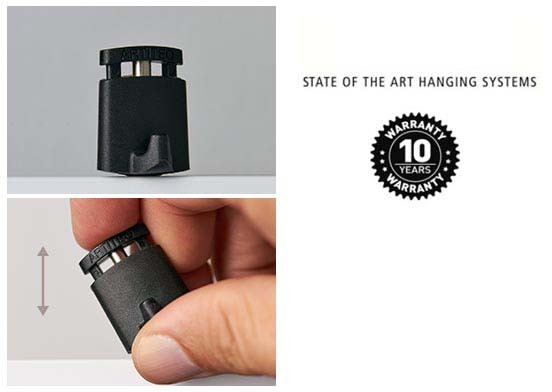 Your decorations will appear to hang straight from the ceiling. Comes in 200cm and 300cm lengths. 3 colours: White, Black and Aluminium. The rail is 14.3mm wide and 7mm deep. Ceiling attached. 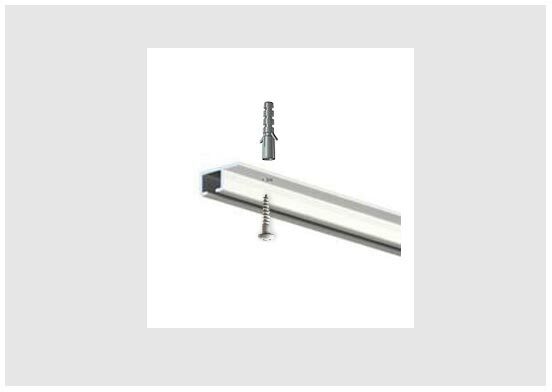 Can be mounted onto the wooden side strip of a recessed ceiling or directly into a concrete ceiling. 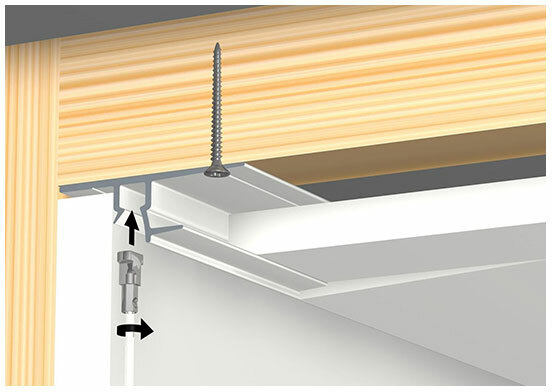 Rail kit includes plugs and screws used to mount the rail onto the ceiling. 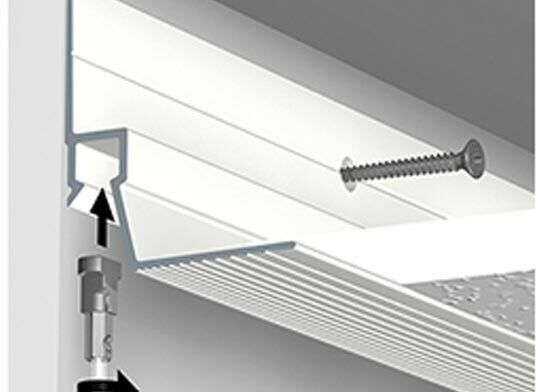 Whether starting a new-build or planning a renovation, this fully-integrated ceiling rail system is sleek and professional, leaving walls clean and free from damage. 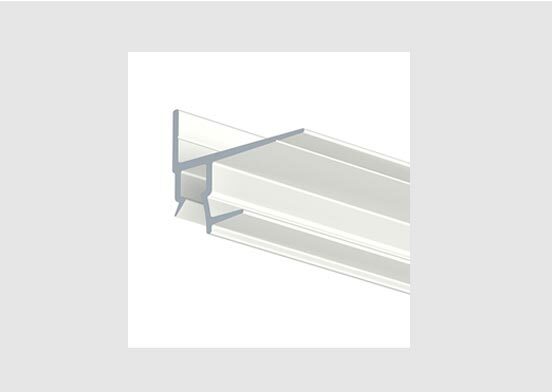 Available to use with either plasterboard walls and ceiling panels or masonry walls, this system disappears into the ceiling, creating a subtle shadowline effect. 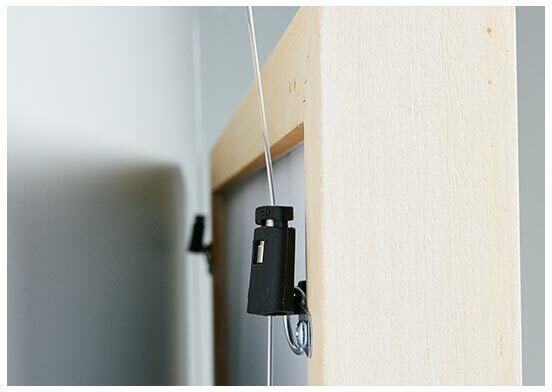 Used in conjunction with 1mm nylon hangers, this is our most discreet hanging system yet. For use with Plasterboard Walls. Built-in. Installed at the same time as a recessed ceiling. Disappears into the shadowline created between the wall and ceiling panels. 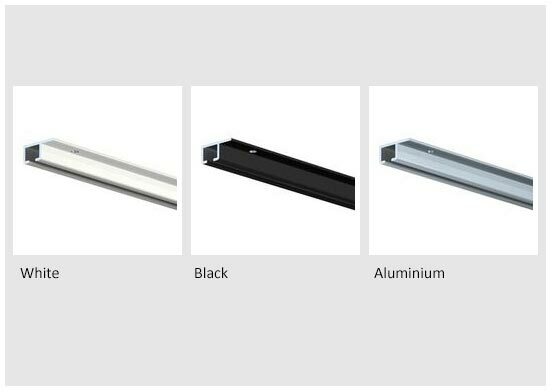 Whether starting a new-build or planning a renovation, this fully-integrated ceiling rail system is sleek and professional, leaving walls clean and free from damage. 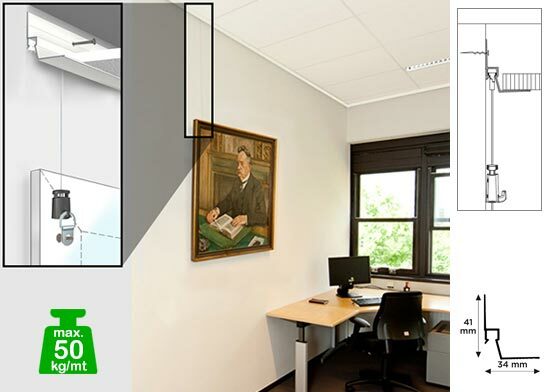 Available to use with either masonry walls or plasterboard walls and ceiling panels, this system disappears into the ceiling, creating a subtle shadowline effect. 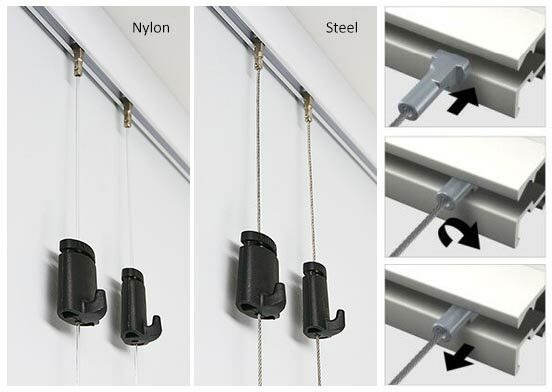 Used in conjunction with 1mm nylon hangers, this is our most discreet hanging system yet. For use with Masonry walls. 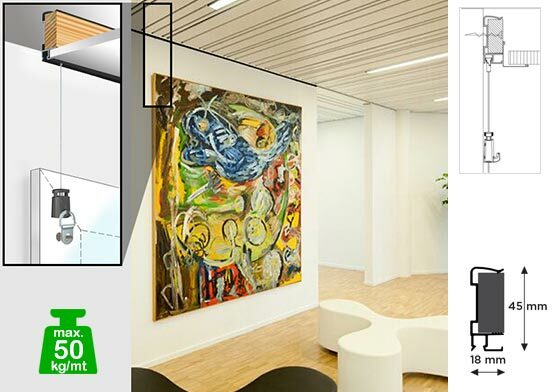 Art Strip is a built-in rail system that becomes hidden in the ceiling. 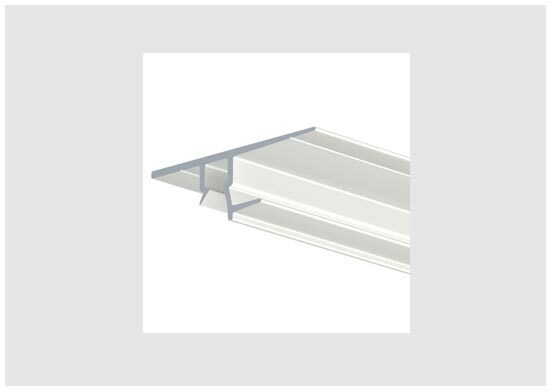 It replaces the side strip used in the installation of recessed ceilings. 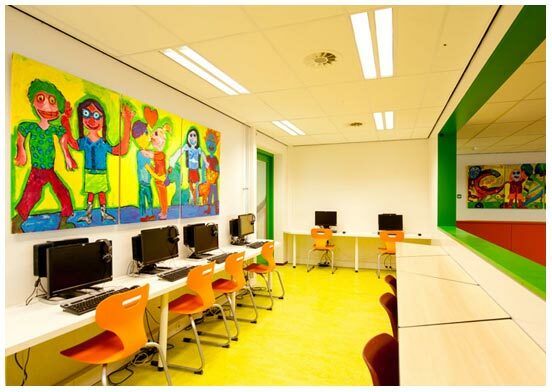 During new-build or renovation work, the Art Strip can be installed at the same time as the ceiling. 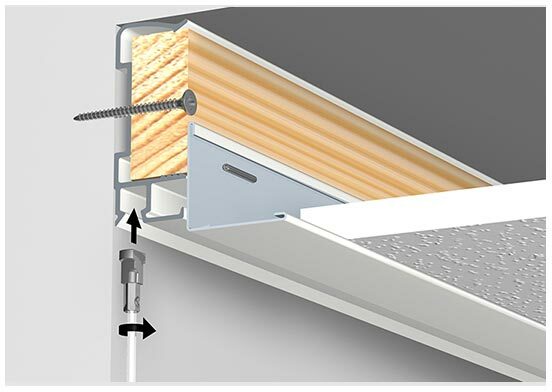 The corner profile for the recessed ceiling is then mounted to the Art Strip, giving you a seamless transition between the ceiling and rail. The rail is 18 mm x 45 mm. Strong with a 50kg per metre load capacity. 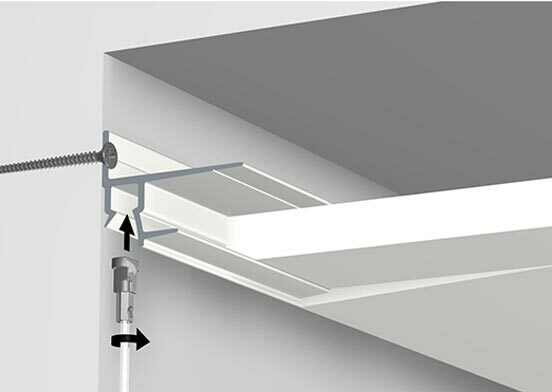 This picture hanging rail is fully integrated into the cornice when installing a recessed ceiling. 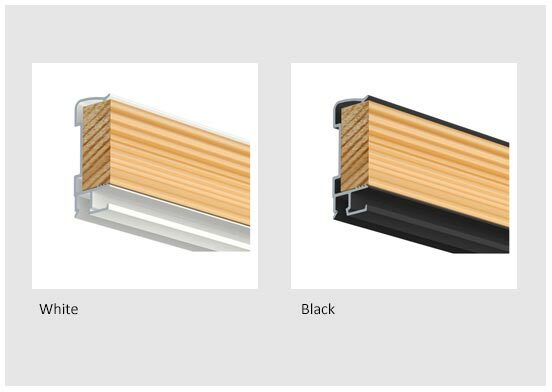 The Ceiling Strip replaces the corner profile and creates a discreet shadowline along the edge of the recessed ceiling where the flexible picture hanging system is hidden. 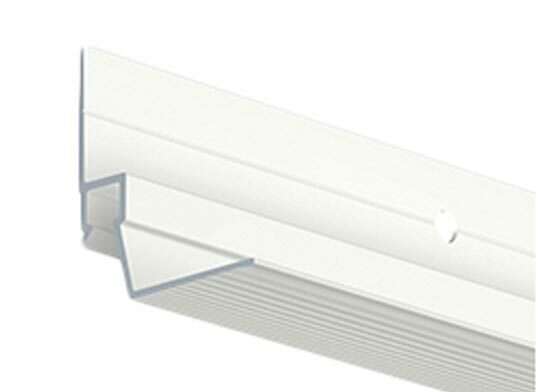 This shadowline can camouflage any imperfections in the wall, such as those masked by a side strip, and also hides the Twister heads of the hangers. For use with plasterboard or masonry walls.